If you're a fan of comic books, movies, or science fiction based adventures, which I'm sure most of you are, have you ever wondered why these three forms of entertainment are always seemingly joined together at the hip? If so, then please feel free to check out the following three books published by Sequart. One of them is about Star Wars. One of them is about the X-Men. And the last one is about Planet of the Apes. Trust me, you'll go ape if you miss out on reading them. Edited by Rich Handley and Joseph F. Berenato. Since Star Wars first hit the silver screen in 1977, almost 2000 comics have been produced from a variety of publishers. This includes comics from Marvel, Blackthorne Publishing, the L.A Times Syndicate, Dark Horse, Scholastic, Tokyopop, and more, with each of them addressing every possible aspect of the Star Wars universe. 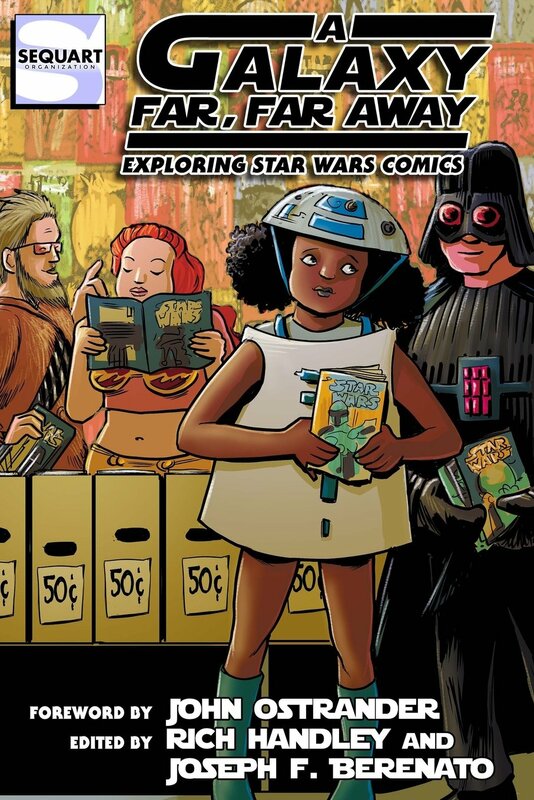 So with that in mind, you might like to know that A Galaxy Far, Far Away: Exploring Star Wars Comics features insightful, analytical essays examining these comics. From Jaxxon to Cody Sunn-Childe, all the way up to Ulic Qel-Droma and Lady Lumiya, this 340 page book, written by a number of noted experts and authors in the field, is a great way of finding out how comic books helped keep the Star Wars universe alive, and why you’re missing out if you’ve not read any yet. The book also features a foreword by comics legend John Ostrander and a cover by Kevin Colden and Miss Lasko-Gross. The X-Men franchise has an expansive comic book mythology, one in which hundreds of creators have contributed to over the past 50 years. That said, the period between 1975 and 1991 was an extra special period, because during this time the X-Men universe was guided by the voice of one writer who wrote every single issue of the ongoing series, The Uncanny X-Men. His name is Chris Claremont, and he made the X-Men into what it is today. So in appreciation of his work, The Best There is at What He Does charters the long-term narrative Claremont lovingly crafted month after month, over the course of nearly 17 years. Proceeding chronologically through each of the issues, one by one, this exhaustive overview analyzes the trends, the arcs, and the themes that emerged throughout his landmark comics opus. It runs 296 pages long and also features a foreword by Geoff Klock and a cover by Steven Legge. Some of you may not have known this, but the original Planet of the Apes film -- you know, that one that starred Charlton Heston -- was based on a novel written by the French author, Pierre Boulle, entitled 'Monkey City'. Since then, this 1967 sci-fi classic has frequently delved into the world of comic books, sometimes making the Lawgiver proud, while at other times it has brought shame to Ape City. 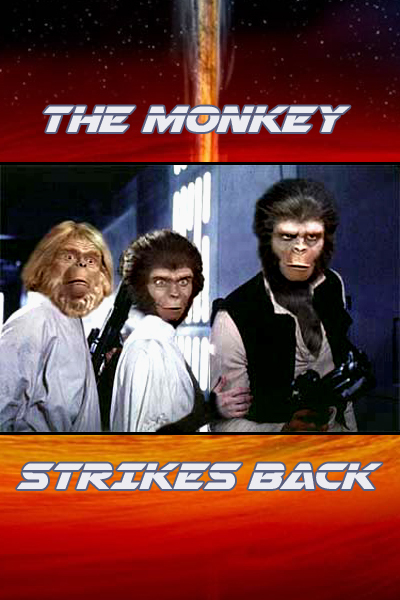 Well, in the comic book arena, not all apes are created equal. But as for us fans, that’s half the fun of reading them. 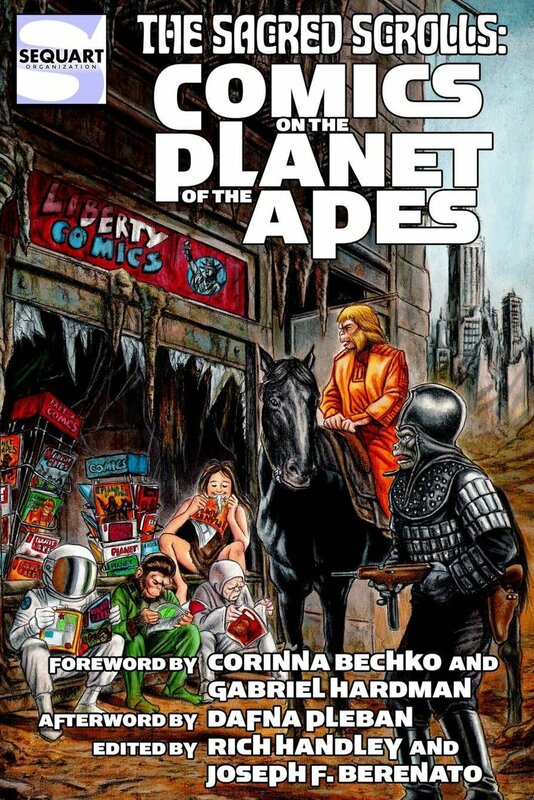 More than 150 Planet of the Apes comics have been published during the past four decades, with each of them published by such publishing houses as Gold Key, Marvel, Power Records, Brown Watson Books, Malibu Graphics, Dark Horse, Mr. Comics, and BOOM! Studios. 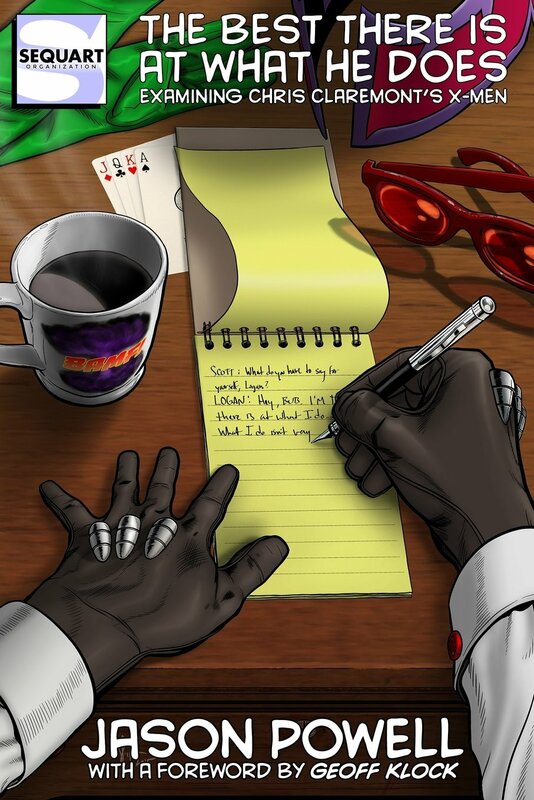 Writers have explored the settings, the concepts, the characters, and occasionally the TV series, while introducing an array of new characters and scenarios, revealing back-stories, filling in plot holes, and exploring histories. The comics have also employed multiple genres and styles, taking readers to distant villages, ruined cities, and oceanic civilizations, plus they've even seen the apes battle alien invaders from War of the Worlds and Alien Nation. Yet that being said, by and large the Planet Of The Apes comic books have remained true to novelist Pierre Boulle’s simian spirit. Sacred Scrolls: Comics on the Planet of the Apes will examine the entire history of the Ape comic books, from Gold Key to BOOM! and everything in between. It's 312 pages long and has a foreword written by Corinna Bechko and Gabriel Hardman; an afterword by Dafna Pleban; and a cover by Patricio Carbajal. Now if you want to know any more about these books published by Sequart, among many others, please feel free to click on over to their official website, facebook, and twitter pages.